Piracetam.net was created in 2011 by Ben Salomon for the purpose of publishing scientifically backed and educational content to the world about Nootropics. Today it has grown to a multi-person team working around the clock to research, write, design, publish, and generally engage with the Nootropics community. Nootropics is a fast growing field, with new developments every week. Why is this? We feel it is likely a conflict with the modern world, where the norm seems to be an always tired, overworked, stressed, and under-slept. Is it just a mismatch between our natural environment, and the modern polluted world packed with commuting, artificial lighting, fast food, and the combustion engine? Or is something else going on, an exploration into our our mind and brains and discovering on an ever increasing granular scale the inner-workings of our most cherished organ? 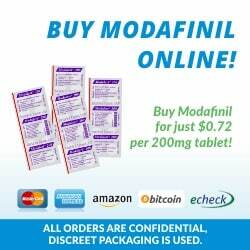 We’ve had coffee and caffeine for thousands of years, but Piracetam just ~60 off years, and Modafinil just ~40! Over 40 heavily researched articles on Nootropics, Mental Health, Health & Longevity. Over 400 references to Scientific Journals or authoritative sources. Writers including University of Cambridge Biological Sciences PhD Graduate, also Part-time writer for Scientific American Magazine (online and print). Thousands of satisfied readers every week. Mentions online and in the press by SBS, Forbes, Wikipedia, and more.